Floors that are professionally maintained reflect the pleasant aesthetics of your business and create a sense of interest in your clients. 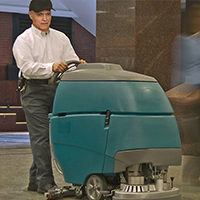 Professional cleaning service is specifically necessary for VCT, vinyl, linoleum, epoxy and acrylic flooring. Vinyl floor stripping and waxing helps in removing the pre-existing wax coating and reapplies a fresh layer of wax that helps keep your floor shining like new. Stripping and waxing vinyl floors is necessary to maintain a healthy environment and helps you keep your floor clean and shining for a long time. 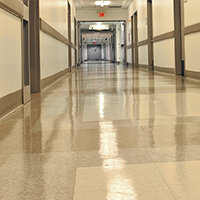 Evolved Building Maintenance provides exceptional stripping and waxing services for vinyl floors at very affordable pricing in the Irvine area of Orange County, CA. "EBM has been a pleasure to work with. Their quick response time to any requests or concerns we have makes us feel at ease and know that the job is going to get done. They made it easy on our staff by ordering supplies and paper goods for the office on a regular basis and at an honest price. 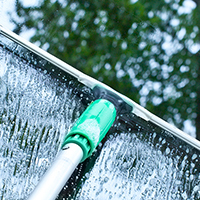 They were able to save our organization hundreds of dollars by offering alternatives to scheduled holidays like "spot cleaning" or cleaning our windows. I highly recommend EBM - both William and Brenda are great!" "My office was a Complete MESS after a 3 month long build out. I set up a complete cleaning with Evolved Building Maintenance, and I couldn't be happier with the finished product, level of service, professionalism, and their ability to accommodate me on short notice! I definitely recommend them! Thank you Will & Brenda!" "We began working with William and his company, Evolved Building Maintenance, a few years ago. One of the reasons we chose them is for their "green" products that really work. They are very conscientious and are easy to work with. 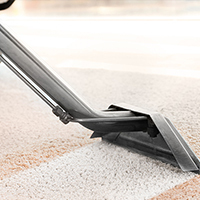 Our business regulations do not allow us to have cleaning done after hours and they are sensitive to that fact. If we are on the phone or have items spread out on our desk they work with us to come back to that office or just empty the trash, or whatever we need. 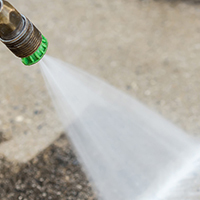 We get calls almost weekly from other companies trying to get our business, and we always say no thank you that we are happy with Evolved Building Maintenance." Dawn Bowe, Administrative Coordinator, J. R. Medical, Inc.
"We highly recommend EBM for general office cleaning and maintenance. We have many shelves and display areas that are critical for existing and prospective client presentations, and EBM has maintained them meticulously. They took over from our previous cleaning company and immediately improved our office environment. Don't get me started about how the previous company missed cobwebs and streaked windows. No longer a concern. Thanks, EBM!" Bob Laubacher, President, Fulfillment Island, Inc. Contact us on (949) 556-8896 for all your office cleaning needs!